Nicole Ingalls is the Chief Accounting Officer of Lyon Living. Nicole is responsible for Lyon Living's accounting, tax, and financial reporting for all Lyon's real estate investments. 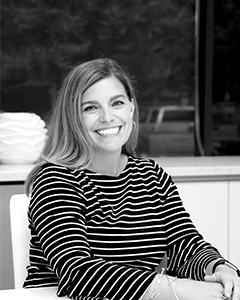 Nicole has over 20 years of accounting and management experience with over seven years in the real estate industry. Nicole first joined Lyon Living in May 2006 as the Property Controller for the Southeast region and became the VP of Accounting and Administration in 2009. From 2014 to 2017, Nicole served as the VP of Finance & Controller at Swiss Watch International, Inc. and then became the Chief Compliance Officer and Controller at Hidden Harbor Capital Partners, LP before she returned back to the Lyon Living team in early 2018. Prior to joining Lyon, Nicole also held various accounting leadership roles at D.S. Waters, LP. and Hub Group Distribution Services. Nicole started her career in public accounting at Arthur Andersen LLP. after earning her B.S. in Accounting from Miami University in Oxford, Ohio.